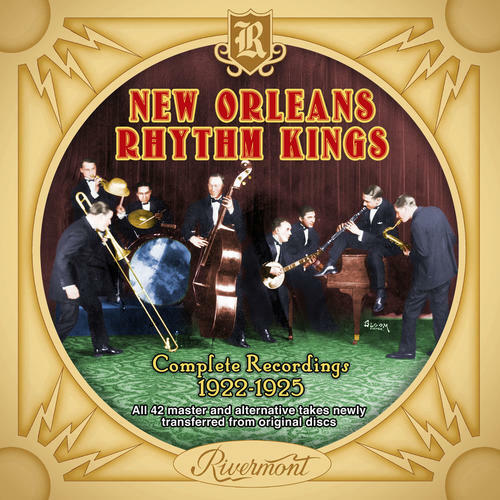 (2-CD set) One of the most exciting and strikingly original of the early jazz bands was the New Orleans Rhythm Kings (NORK). Their approach was fresh and airy as well as hot, and would not fall prey to caricature, as did many other bands of the early 1920s. They literally redirected the public's attention to what jazz was at its core and, in doing so, influenced scores of musicians who would carry it into the future. Although the band's personnel changed often, the recordings on this set include such star players as Jelly Roll Morton, Paul Mares, Leon Roppolo, Santo Pecora, Ben Pollack, Don Murray, George Brunies, Steve Brown, Jack Pettis, and Elmer Schoebel. 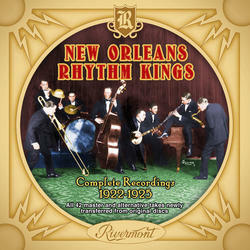 This new 2-CD set, a joint production of Rivermont and Off The Record (widely lauded for their recent restorations of King Oliver's Creole Jazz Band and The Wolverines) presents all 42 master and alternative takes recorded by the NORK from 1922-1925. Every track has been meticulously transferred and restored from original disc sources by renowned engineer Doug Benson for superb sound quality. The NORK recordings have never sounded this good -- clear, open, and brimming with life and vitality! The copiously illustrated 40-page booklet includes detailed liner notes by Sue Fischer and 2-time Grammy nominee David Sager.